The Eagledale is one of Honest Abe’s most popular plans. It has often been modified, enlarged, built in various wood profiles and even combined with other plans to create a truly custom home. The first floor’s master bedroom includes a luxury bath and two walk-in closets. The open layout of living room, dining room and kitchen makes the home seem expansive, no matter the square footage. A utility room is adjacent to the kitchen, while the living room offers a convenient powder room. 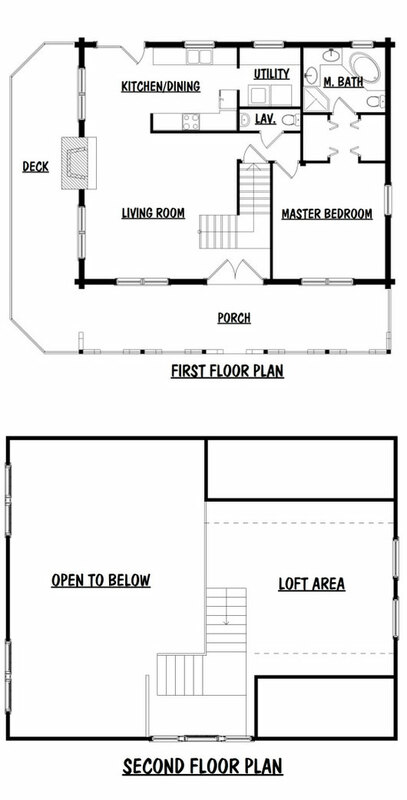 The second floor is an open loft overlooking the downstairs living area. A front porch and side deck provide outdoor living spaces.